Large, bright red flowers, deep green foliage; most popular. 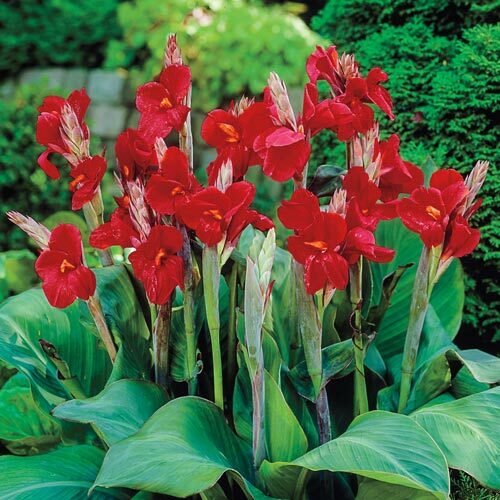 Spectacular floral beauty and lush foliage only 2-3' tall. 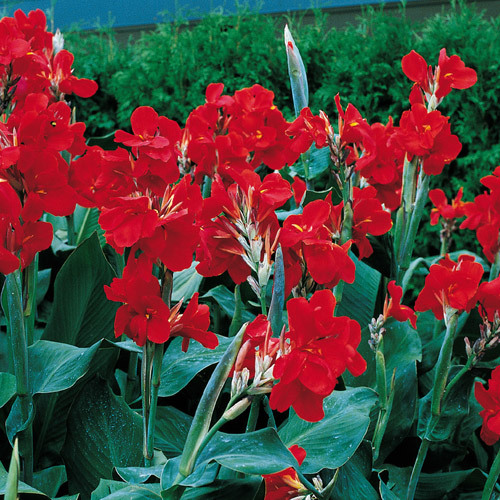 These dwarf varieties are ideal for low beds, borders and specimen plantings. 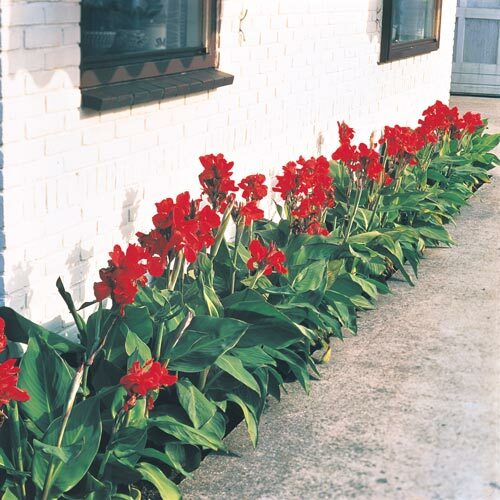 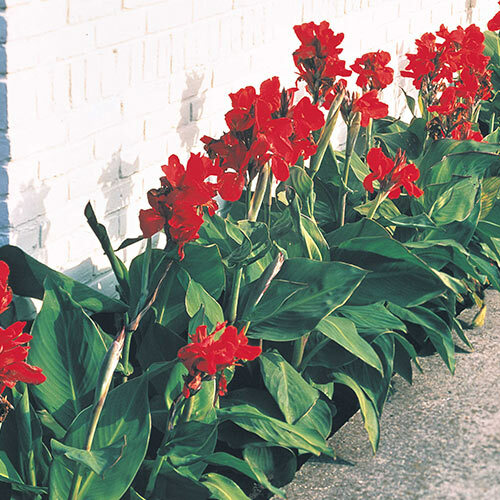 We recommend using any of these dwarf cannas as potted plants for use on patios, terraces or at entrances. You can start dwarf cannas indoors in February or later for gorgeous summer blooms. Move them outside after spring frost.